Thanks to Goldfish, on Wednesday evening, my daughter and I attended the Cinderella premiere downtown Toronto. 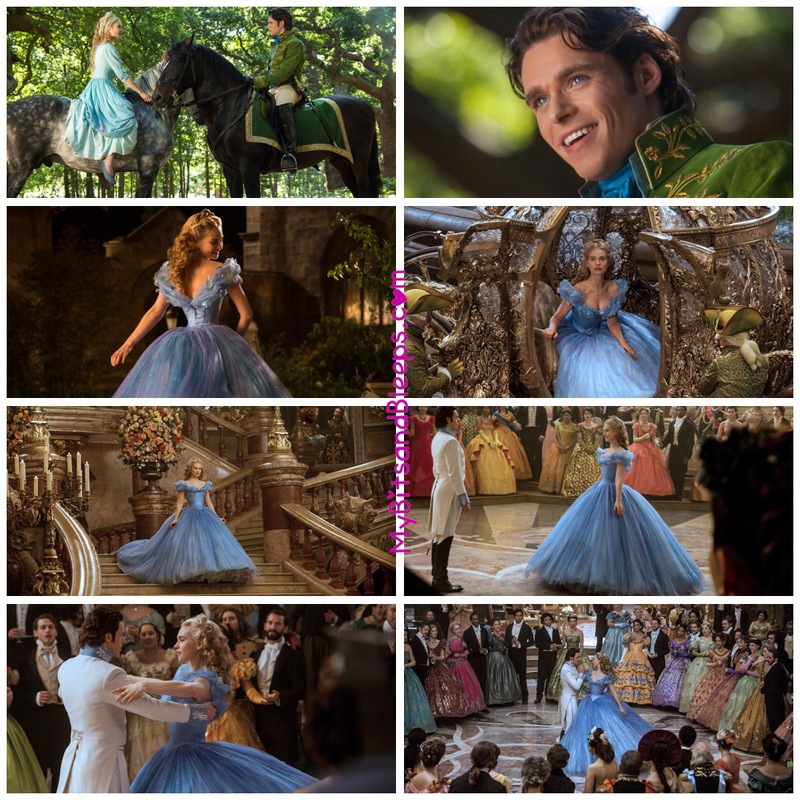 You must see this wonderful remake of Cinderella; it is as magical as Disney’s original animated version. For that little girl inside of me, it sparked the same joy and amazement I once felt as a little girl. If you ask my teen-aged daughter, “the Prince is cute” and “the movie is good”. If you press her on, you might get “the movie is really good”. Either version, the movie is definitely worth watching! P.S. You’ll also enjoy the Frozen short. Synopsis: Ella (Lily James), a daughter of a merchant who remarries following the death of his wife, is eager to support her father as she welcomes her new stepmother (Cate Blanchett) and her daughters Anastasia (Holliday Grainger) and Drisella (Sophie McShera) into their house. But, when Ella’s father unexpectedly passes away, she finds herself at the mercy of a cruel new family. 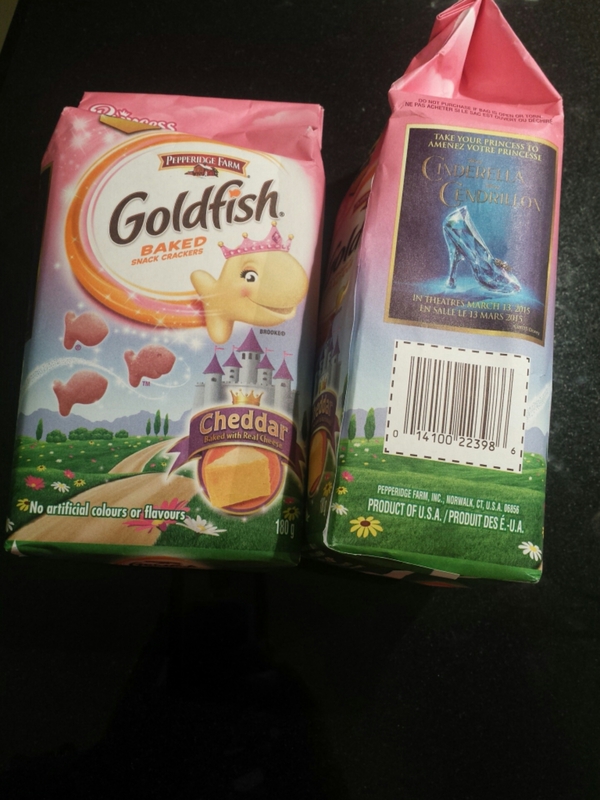 Once the movie was over, we were each treated with a bag of the Princess Limited Edition Pepperidge Farm Goldfish Baked Snack Crackers [Cheddar Flavour]! This classic treat has made a special pink version of our beloved Goldfish crackers that is as pretty as yummy! We shared our GoldfishSmiles moment all the way home in our taxi-ride. I’ll be posting a giveaway soon so watch out for it! Disclosure: Goldfish Canada has provided me with Cinderella Premiere passes and products in exchange for this review/giveaway. I am not obliged to give a positive review. Any opinion(s) expressed is my own, and is given freely. Any information acquired from Goldfish Canada and Disney’s various social media formats has been authorized, and has been done so as to facilitate my post/review. I can’t wait to see this one, I loved the previews and this looks like it’s going to be one good movie!!! It looks magically AH-mazing! Glad you and DD had a great time together!